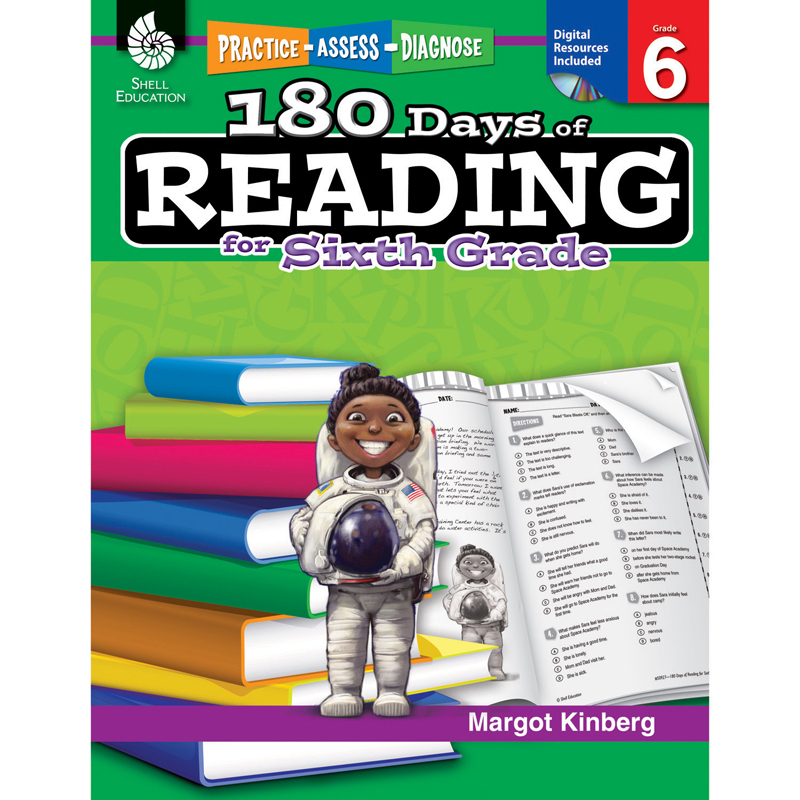 This resource provides sixth grade teachers and parents of sixth grade students with 180 daily practice activities to build and gauge students' reading comprehension and word study skills. Great for after school and intervention programs, students gain regular practice through these quick diagnostic-based activities. Both fiction and nonfiction passages are provided as well as data-driven assessment tips and a Digital Resource CD with assessment analysis and electronic versions of the daily practice activities. This resource is correlated to the Common Core State Standards and is aligned to the interdisciplinary themes from the Partnership for 21st Century Skills.